Imagine you’re the only boy in a town of men. And you can hear everything they think. And they can hear everything you think. Imagine you don’t fit in with their plans… Todd Hewitt is just one month away from the birthday that will make him a man. But his town has been keeping secrets from him. Secrets that are going to force him to run. Australia’s 50 Favourite Kids’ Books 2014, Cheryl’s Xmas Wishlist for Kids 2014, Book Lists for Book Week: Mary Van Reyk’s Home Library Essentials, 12 Young Adult Movie Adaptations We Cannot Wait to See This Year! Patrick Ness was born on an army base called Fort Belvoir, near Alexandria, Virginia, in the United States where his father was a drill sergeant in the US Army. Patrick’s family soon moved to Hawaii, where he lived until he was almost six and he later lived in Washington and Los Angeles. After studying English Literature at the University of Southern California, Patrick got a job as a corporate writer at a cable company in Los Angeles, writing manuals and speeches and once even an advertisement for the Gilroy, California Garlic Festival. His writing career started with the publication of his first story in Genre magazine in 1997. Since then, Patrick moved to London and has had two adult books published and also taught creative writing at Oxford. On writing, Patrick says, "Here's a helpful hint if you want to be a writer: When I'm working on a first draft, all I write is 1000 words a day, which isn't all that much (I started out with 300, then moved up to 500, now I can do 1000 easy). And if I write my 1000 words, I'm done for the day, even if it only took an hour (it usually takes more, of course, but not always). Novels are anywhere from 60,000 words on up, so it's possible that just sixty days later you might have a whole first draft. 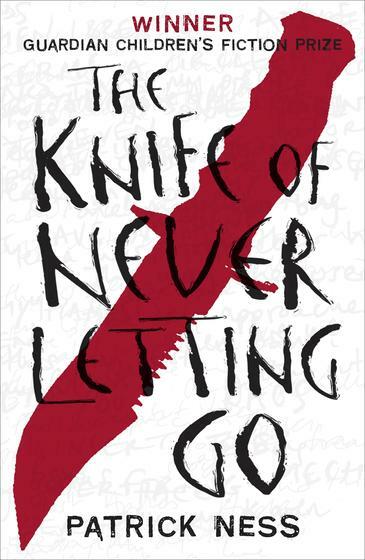 The Knife of Never Letting Go is 112,900 words and took about seven months to get a good first draft. Lots of rewrites followed. That's the fun part, where the book really starts to come together just exactly how you see it, the part where you feel like a real writer". Monsters of Men is the winner of the 2011 Carnegie Medal. A Monster Calls was the winner of the 2012 CILIP Carnegie Medal and the Kate Greenaway Medal. A Monster Calls was also long-listed for the 2012 Inky Awards.